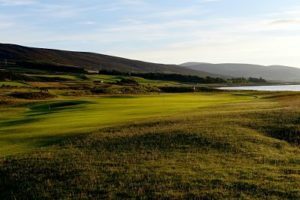 Brora Golf Club was delighted to be nominated for an award at last week’s 2018 Scottish Golf Tourism Awards. Brora, Montrose Golf Links, Scotscraig and The Duke’s, St Andrews were all nominated in the category for best Value for Money for a course priced between £50 – £100 for visitors. It was The Duke’s that took the honours, but another award nomination was still a notable achievement for all at Brora. At the showpiece event at the Fairmont St Andrews resort, Kingsbarns Golf Links was named the provider of Scotland’s Best Golf Experience for the fourth time in the last five years. The acclaimed Fife facility took the top prize at the Awards – the climax to the third annual Scottish Golf Tourism Week. Scottish Golf Tourism Week, which attracted more than 90 leading buyers from across the world to experience Scotland’s diverse golf product, comes as the industry pursues ambitions to grow the value of the golf tourism industry in Scotland from £286m in 2016 to £300m by 2020. Malcolm Roughead, chief executive of VisitScotland, said: “I’m delighted to see award winners from right across the country, which goes to underline how outstanding the outstanding strength in depth of the Scottish golf tourism product. The event, hosted by renowned broadcaster Dougie Donnelly, was staged by PSP Media Group and supported by VisitScotland and Scottish Enterprise.